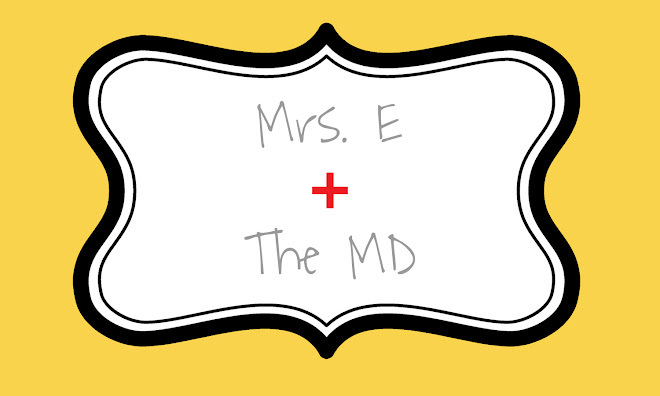 Mrs. E and the MD: What's Up? I usually begin my phone conversations this way. What's up? My dad usually says, "The temperature." And he says this in the winter sometimes. He and I are both hot most of the time. Random, I know. Anyway, a lot is up. Here's the scoop. The temperature. For real this time. It's like 100 degrees, or so it feels. I think it is 200 degrees in my car, which is all black with gray (grey, greigh?) interior, when I get inside of it after school. In fact, I seriously burned my hands when I touched my steering wheel today. I cursed my legs as they have always been too short to do the "knee steering" trick-- so I ended up doing the "Look Ma, No Hands!" routine for a few minutes before the wheel cooled down. My blood pressure. I don't know if it really is, but I am stressed out and I am not sure why. School is ending in a few days. I should be at my peak of relaxation...but I'm not yet. Too much to do and not enough time to do it. Noelle. Not only is she "up," as in awake a lot of the day, but she is cooing, smiling, and oh-so-on-the-verge of giggling out loud. I cannot wait for that moment. She is just so amazingly perfect and beautiful. I know I am biased, but seriously...she is! Luke's 4th year of med school. Yes, folks, we are rounding turn four on this race we call IU School of Medicine, and Luke is heading toward the finish. In less than one year, Luke will be graduated and we will know where we will spending our time for residency. In less than one year, he will have M.D. behind his name. I think that's mighty cool. Right now he is on his urology rotation. Kidneys and bladders and urine, oh my! I found out I will be teaching 4th grade again next year. Yay! I am so happy to have a teaching job at a fabulous school, and I l-o-v-e 4th grade, so I am very, very relieved. All of the worrying and gut-wrenching nerves can take a vacation for at least another year. Stay tuned for pictures of Noelle's first time in a pool!